So you’re looking for your first apartment, or maybe you’re looking for something new. Online searches turn up endless options and you have no idea where to begin. No matter where you’re thinking about renting, it’s important to ask questions to find out if a community is the right fit for you and your needs. 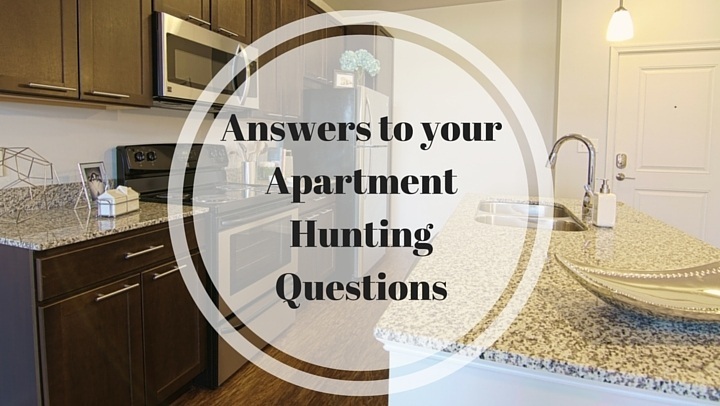 Apartment Guide covered all the bases in their article, 10 Questions to Ask When Apartment Hunting. Here at Element, we want you to have the information you need to make an informed decision. Read on, we know you’ll love us! We offer 6 and 15 month leases. So, if you’re afraid of commitment or know you’re only in the area for a short time, we’ve got you covered. Of course, we enjoy your company, so we hope you’ll stay awhile! What are the application and move-in fees? We love our four legged residents! After all, they’re pretty much part of the family! Not to worry, our whole community is pet friendly. And don’t think we forgot Fido when we drafted up the building plans. With plenty of areas to walk and a Bark Park with agility equipment in the works, your furry friend will love Element as much as you! Pet fees include: non-refundable pet fee of $350 for the first pet and an additional $150 for the second pet (no more than 2 pets per apartment, please!). Pet rent is $25 per month per pet. All we need is a picture of your pet and updated vaccination records. We also require a DNA sample for our community database (complimentary) and you’re set to go! Now that you’ve unpacked your boxes and gotten settled in your new digs, you’ll probably want to show it off to all the VIP’s in your life. We’re fans of dinner parties and watching the game! We just ask that you let us know if they will be visiting you for more than 8 days per month or 4 consecutive days. Please keep in mind that the lease holder is responsible for the actions of their guests. We do require proof of Renter’s Insurance for the minimum amount of $300,000 personal liability. Why? Because you’ve learned better safe than sorry, right? Now you’re covered. What’s included in the rent? What’s not? If you’re a fan of streaming TV shows or movies on demand, like to stream music, or love gaming, you’ll enjoy the crazy fast speed of the internet service (Comcast Xfinity) that’s included in every apartment! Not only are the apartments pre-wired, but a WiFi router is also provided. We also include trash removal and recycling! All you need to do is carry your bag to the chute at the end of the hall and drop it in! We do the rest. Because, who really wants to walk outside in the cold or rain to toss their trash? Residents are responsible for electricity, water, and cable (if desired). Water is metered individually and is invoiced monthly. You’ll have plenty of notice to pay it together with your rent! So no need to worry about setting that up! No worries, we’ll tell you how to set up the rest before your move-in date. How are emergency repairs handled? Within the first year after the construction company delivers the apartments to management, pretty much everything in the apartments (appliances, fixtures, electricity, plumbing, carpet, tile, etc.) is all under warranty. To get something fixed, residents can place work orders (by calling, emailing, or logging in to our online portal). Maintenance will respond to work orders and determine whether they can fix the problem or if it’s under warranty. If the issue is under warranty, we have to wait for the proper sub-contractor to come and perform the work needed. If a service request falls under the “emergency” category, our maintenance team would do their best to properly accommodate our residents until a permanent solution can be provided. All of our buildings were equipped with electronic locks on all apartment, amenity, and exterior doors. Meaning, you need a key fob to get into the building. Each leaseholder will receive a key fob a personal electronic footprint. How awesome is it your key fob will also get you into your apartment and all of our amenities? This means: no more fiddling with keys or access cards! We also have video cameras recording throughout the buildings. Does rent go up? By how much? No matter what lease term you are in, your rent will never change during that term. Any change in rent on any future renewals is determined by the market, length of lease, and time of renewal. Each resident will receive a renewal offer allowing plenty of time to decide what you’d like to choose. We offer free, off-street parking in our lots, which are dedicated to our residents. We’ll provide 1 parking pass per apartment, which allows you to park in any “Reserved” spot. Have a second vehicle or guests visiting? No worries, there’s plenty of unreserved parking spaces that they are more than welcome to occupy. Obviously you might have more than just these 10 questions during your apartment hunt. If we haven’t answered it here, don’t hesitate to call us (804-571-2787) and one of our leasing professionals will be happy to help!